Davy Howard Levy was born in 1948 at Montréal, Quebec. He obtained his bachelor’s degree in 1972 from Acadia University in Wolfville, Nova Scotia, and his master’s degree in 1979 from the University of Queen’s in Kingston, Ontario. Both degrees were in English literature. He is currently writing his doctoral degree at the Hebrew University in Jerusalem, still on the subject of English literature. 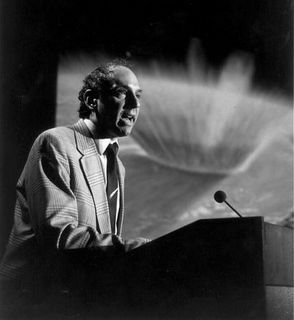 Levy’s interest in astronomy began during a partial eclipse of the Sun in 1959 at the age of 11. In 1965, he began to search for novae and comets in the sky. By the end of the 1980’s, he was the most prolific observer in the American Association of Variable Star Observers with more than 10,000 observations per year for meteors, variable stars and Messier objects. Always looking for a better climate and a darker sky, he moved to Arizona in 1980 where he still lives today. In 1984, after 19 years of fruitless searching, he discovered his first comet. Today, he is the discoverer or co-discoverer of 21 comets and more than 225 asteroids, including the famous Shoemaker-Levy 9 comet that crashed into Jupiter in 1994. Author or editor of more than thirty books, numerous articles and more than 1,000 lectures and interviews, Levy is also involved with a number of magazines: he is Science Editor of Parade (USA), Associate Editor of Sky & Telescope (USA), and a regular contributor to SkyNews (Canada). Over the years, he has developed numerous educational programs in astronomy for young people and the general public. He has received more than 20 awards, including the Chant Medal from the Royal Astronomical Society of Canada in 1980; the E. E. Barnard Award from the Western Amateur Astronomers and the Leslie C. Peltier Award from the Astronomical League in 1988; the G. Bruce Blair Award from the Western Amateur Astronomers and the Walter H. Haas Award from the Association of Lunar & Planetary Observers in 1990; the Amateur Achievement Award from the Astronomical Society of the Pacific in 1993; two Group Achievement awards from NASA in 1995 and 1996; the Simon Newcomb Award from the Royal Astronomical Society of Canada in 2002; and the Benjamin Franklin Citizen Award from the Society for Amateur Scientists in 2003. In 1998, Levy also received an Emmy Award for co-writing the documentary Three minutes to impact for the Discovery Channel. He was also the recipient of four honorary doctoral degrees and is Honorary President of the Montreal and Kingston centres of the Royal Astronomical Society of Canada. Asteroid 3673 is named after him.